Once you arrive at Nainital, you will not feel the scarcity of travel activities to do at this hill stations as this place provides you with ample travel activities and things to do. You might not be able to undertake all the travel activities in Nainital, but there are various activities that you should not miss. It all depends upon your mood, age and various health factors. Here are some of the important and highly recommended travel activities to do in Nainital and this is not a complete list and only the major activities are highlighted here. The Guano Hills in Pangot Village of Nainital is one of the best place for sightseeing and trekking with a lot of rocky and off-road paths that can really make your trekking expedition a memorable one. The isolated stretches lined with bamboo, oak, deodar and other interesting trees add more attraction to your trekking activities. The Tiffin’s Top or Dorothy’s Seat is 4 kilometers away from the city and the trek to the Tiffin’s top is another major adventure activity that is highly recommended. While on your way to the Tiffin’s Top you will be extremely delighted at the amazing natural beauty and lush green trees which provides a great treat to the eyes. For those interested in adventure activities and fun, the the Nainital Ropeway or Cable car can provide you with the best travel experience in north India. The cable car will take you to the snow view point where you might be able to view the famous peaks of Nanda Devi, Nanda Kot and Trisul, provided the day is clear. There is a fee for taking the ropeway ride, but the fee is worth for nature lovers and those interested in sightseeing. You will be able to view some of the most breathtaking sights from a great height and the sights of various mountains around Nainital will make you feel excited. 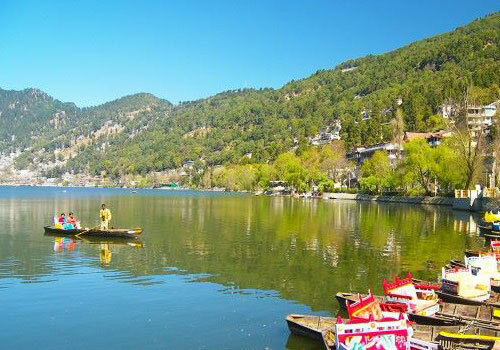 The lakes are another hallmark of Nainital and a trip to Nainital will not be complete without a boating expedition. The Bhimtal Lake is the largest lake in Nainital and a boating along the lake of Bhimtal will help you to explore the marvelous scenic beauty surrounding the lake. 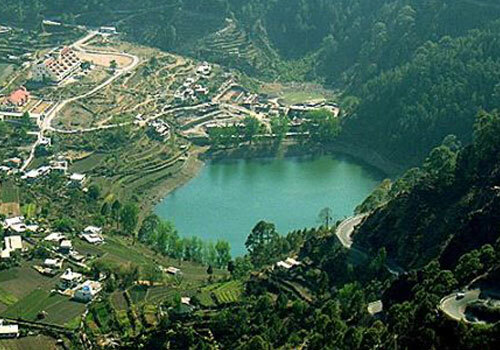 Same is the case with Naini Lake and a boating at this lake will provide one of the best visual treats in Nainital. The boating activity at both the lakes requires a fee and is open to tourist almost all days of the week. The world famous Tiger Reserve, the Jim Corbett National Park is near Nainital and this is home to some of the rare wildlife and plant species that you rarely see in other parts of the world. 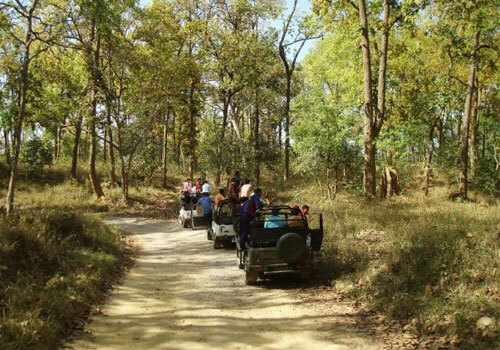 The Jim Corbett National Park offers an excellent opportunity for wildlife lovers to take elephant safari, jeep safari and canter safari which will provide one of the most adventurous experience in your life. If you visit wildlife park, then do not forget to go for wildlife safari as you will really regret in case you fail to take the wildlife safari at Jim Corbett National Park. Most of the travelers also love to do local shopping to purchase some local items that they can keep it and save it as a souvenir. Nainital offers one of the best shopping facilities for travelers and there is no other better place than the Nainital Mall. The mall which is situated in the middle of the Nainital city, there are many small shops that are crowded enough and sells a lot of interesting items such as wooden artifacts, candles, tiny art works etc. The mall is open on all days of the week and the travelers can visit this mall at any time of their convenience. So if you are traveling to Nainital, do not miss out on the above mentioned activities and these are some of the highly recommended things to do in Nainital. To cover all these activities in the best time frame that suits your schedule, you can take help of any of the best travel tour operators capable of planning and executing your travel package in the best possible ways. This entry was posted in Nainital and tagged activities to do in nainital, adventure in nainital, boating in nainital, shopping in nainital, things to do in nainital, trekking in nainital, widlife safari nainital. Bookmark the permalink. But were you able to spot any tiger the Corbett park?